As I write this photographers blog I am looking out into my garden which is 18 inches deep in snow! Last saturday myself and my other photographer David both had weddings which were snowy. Anything wet is usually a pain as anybody who has anything to do with the wedding just wants to stay inside, dry and warm. Not the case with my Bride and her wedding party! This girl so wanted to have snow, if the real thing hadn't arrived she would have paid for a snow machine. 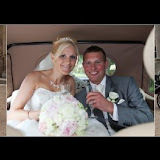 The wedding was at Redworth Hall near Darlington, to be followed by the wedding breakfast and evening reception. The wedding was fun, fun, fun from Bridal prep to first dance and I never saw the gorgeous bride without a beaming smile on her face. The snow photos were taken after the wedding ceremony, on what would have been the front lawns. But now were about 5 inches deep in fluffy snow. The ladies donned their wellies and we made it out, choosing several locations to make the most of the wintery backdrops. I strongly believe that this was one of the best weddings I have been to, with fun and laughter everywhere. But, speaking as a wedding photographer - everyone was so "up" for the photographs. Yes it was cold. But do you remember back when you were little and you played out in the snow. Your mum kept telling you to come in as it was so cold, but you never felt it. Well thats what it felt like at this wedding. Enough blogging, lets have a look at the photos. If you are unsure what a particular wedding venue looks like, why not check out our Picasa photos. We are in the process of adding all the venues we have been to recently. So if its one of the popular ones around Middlesbrough, Darlington and the North East, come check it out. You will also find some page designs put together for a GraphiStudio wedding album - more to come - weve designed nearly 30 albums in the last 6 months, so lots of material to choose from. Heres another location you might want to go to. This is the link to our fairly new facebook page. We try to update this every couple of days so please, once youve clicked on the like button, do call back. Hello and welcome to my Blog, so glad you are here, I hope you will find the content interesting and I would love to hear your comments, on this, or any other article. Todays blog is about creativity. Creativity in photography. At College I was very impressed by the work of Jerry Uelsmann. The work he carried out in the dark room was simply breath taking, not to mention inspirational. The beauty of it is that in today computer age, images like Jerrys are much simpler to achieve. Bringing originality, now that is the hard part. So where to start? Well I took three shots from previous portrait shoots and just decided to "play" with them. If you have time you too can create images like these on your computer. What I was tring to achieve was an image where the subject was still recognisable, but adding in some creative art to make the empty spaces of the photographs more intersting. The techniques used were similar in all 3 images. The starting image was enhanced by removing spots and wrinkles, the eyes were brightened a touch. The Liquify filter was used to modify body shape to create balance, rather than Barbie doll prerfection. Next, the background was placed OVER the image and its opacity reduced. Then the erase tool was used to remove areas of the background that were not needed. I must remind you that these are only practice images, but do you think there is any merit in persuing this line? Do you think there is a market out there for photographs that are more creative in nature. Of course there is also an added cost to these images. If you can imagine the amount of time that would go into producing such an image, all that time and skill of the graphic artist has to be accounted for. With the profusion of digital cameras everyone and their Grandma has hard-drives full to bursting with photographs. Ok, not all will reach the standards of an "award winning" master photographer, but some will be ok, and all will tell a story. I wanted to step to the side of portrait photography, look at it from a different angle and bring in a dollop of artistry. Add some creative graphics, a marriage of photography and digital art. Here is my final image, the one I spent most time on. I hope you like it. Bear in mind that this image looses a lot of its quality, being dramatically downsized for the web. For a long time now I have rated Wynyard Hall as one of the best wedding Venues in the North East. This blog is to tell you why. Remember I am looking at this through the eyes of a photographer. Firstly Wynyard Hall is easy to get too, just a few minutes from the A19/A689 junction. First sight of the Hall leaves you gasping for air, its is stunningly beautiful, set in acres of lush lawns, fringed by mature tress of all types and then lovingly wrapped by a beautiful lake. The majestic colums at the front of the building make for great arrival shots. Theres also something special about the noise gravel makes under foot, or under tyre. The rear of the Hall is the patio area looking down towards the lake and further beyond the open contryside. As you can see there are plenty of areas for your wedding or event photographs. Weddings - Wynyard Hall even has its own chapel. The stain glass windows, the decoration, it is all fantastic, maybe a little dark inside but modern cameras will have no problems. But what if its raining? Good question because there are lots of great venues with outside locations but then lack the same detail and qualities inside should the weather not be on your side. Wynyard Hall is not like the others. it is as photogenic inside as it is outside. The decoration, the great rooms, the furnishings all add a luxury feel and add an extra dimension to your wedding photo reportoire. Ever been to a fantastic venue, but felt the staff were looking down their noses at you? The staff here are attentive, patient and friendly. I had great evidence of this on Friday at a recent wedding there. The Bride wanted a shot from the other side of the lake across to the Hall, but there was no way the bridal party, me and my assistant and the video guy could all get across. To the rescue a modern day Knight, Sir John Hall, offers us all a lift across in his freshly valeted people carrier. A kindness I shall always remember - the bride and groom will too! If you are thinking of getting married in the North East and you want your day to be special then do please take a look at Wynyard Hall. Be warned though, that they are well booked up so get in early - or consider having your wedding on a Friday, Sunday or Monday. Dont forget to tell them Duncan sent you!